Nacional Autonoma de Mexico.Long a writer of academic works for adults, Jimï¿½nez's entry into writing for young people came through an award-winning short story, "The Circuit," based on his childhood. In 1997, Jimï¿½nez combined the story with others into the autobiographical volume The Circuit: Stories from the Life of a Migrant Child, which won numerous awards, including the Americas Award for Children's and Young Adult Literature. 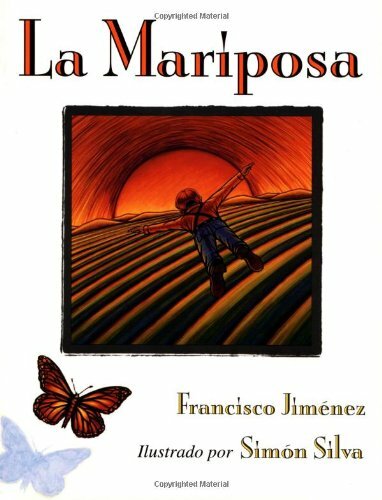 He followed this achievement with the picture book La Mariposa, another autobiographical work that looks at the difficulties faced by a non-English-speaking child in an English-speaking classroom. His exploration of the melding or memoir and fiction continued with The Christmas Gift/El regalo de Navidad, a bilingual illustrated book about the sources of humanity and strength that exist even in the face of poverty. His newest book is Breaking Through, his award-winning sequel to The Circuit.